The World’s End is the third movie in the so called “Cornetto Trilogy” directed by Edgar Wright and starring Simon Pegg and Nick Frost. Back in 2004, the three friends made Shaun of the Dead and then in 2007 made Hot Fuzz. 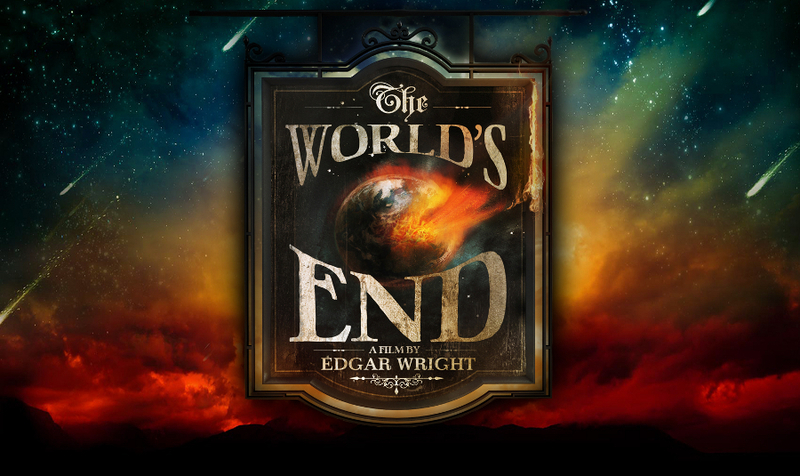 Now this year they have teamed up again for The World’s End, a science-fiction about five friends who reunite after 20 years to attempt an epic pub crawl in their home town. Only, things are not as they remembered. I went to the cinema to see Shaun of the Dead, Hot Fuzz and the finally the midnight premier of The World’s End. It was a great night filled with lots of laughs and in the end, everyone had their favourite of the three. The World’s End still has the same comedy and wit you expect from Pegg, Frost and Wright, and there’s no exception about the level of comedy in the movie. I still think I’ll prefer Hot Fuzz as the favourite of the three. The World’s End has Simon Pegg play Gary King, a 40-year old man still nostalgic about his days as a teenager. He somehow manages to convince his old friends including Andrew Knightley, played by Nick Frost, to return to finish a pub crawl they attempted back in high school. All the friends apart from Gary are living pretty well off which really contrasts with Gary who at heart, is still his teenage self. A lot of the comedy comes from this contrast but this also creates some conflicts between the characters which they must work out in order to work out the mystery. As shown in the trailers, their hometown of Newton Haven has been taken over by some robot alien race. It definitely has some of the more surreal moments in the Cornetto Trilogy but the premise has been done before in other movies so lacks in originality compared to Hot Fuzz and Shaun of the Dead. I feel that Nick Frost does play his character too seriously for the most part, we love him for being that ridiculous, idiotic but loveable guy. He certainly has his moments with a little alcohol in him but I think the audience was craving more of that. In conclusion, The World’s End is a great comedy from the Summer blockbusters this year, its well worth seeing and you’ll hopefully have a good time.